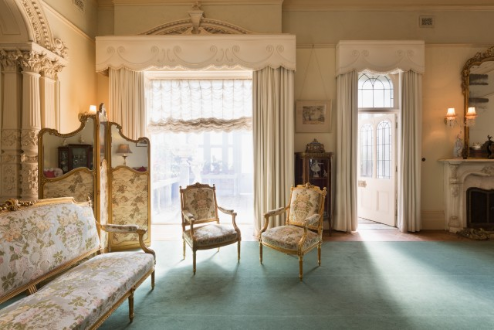 Gifted to the National Trust of Australia (Victoria) in 1972 Rippon Lea's magnificent Mansion and gardens date back to 1868. The garden covers almost 14 acres, which includes a large lake, extensive shrubberies and flower gardens, an orchard of historically significant fruit varieties, a fernery, rose gardens and many other features of historical, landscape and architectural interest, all forming the setting for the polychrome brick mansion. 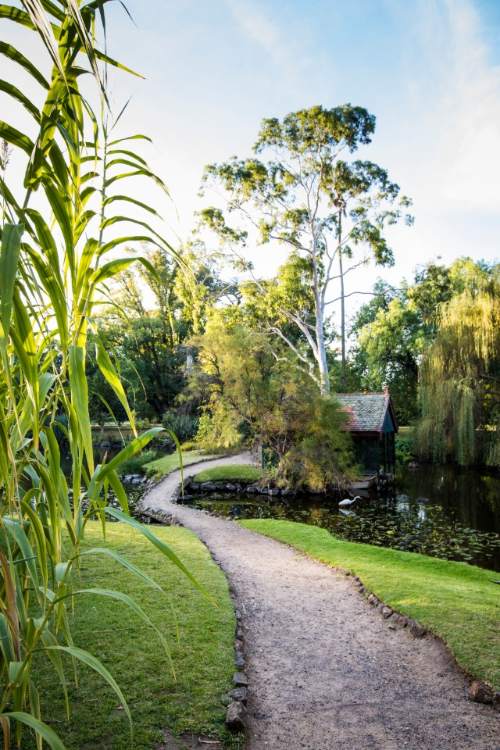 Join Anne Vale, author of Gardens of The National Trust of Australia (Victoria) for an intimate talk on her book, followed by light refreshments around the pool terrace and the opportunity to purchase a signed copy of the book. Watch for special events that may have different times and require advance bookings. Special Event prices and dates as detailed on our main website. Annual Rainfall avg: 674mm. Summer avg. 146mm. No. of rainy days: 44 Winter avg. 163mm. The house's original owner Frederick Sargood was a keen gardener and particularly interested in orchids and ferns. 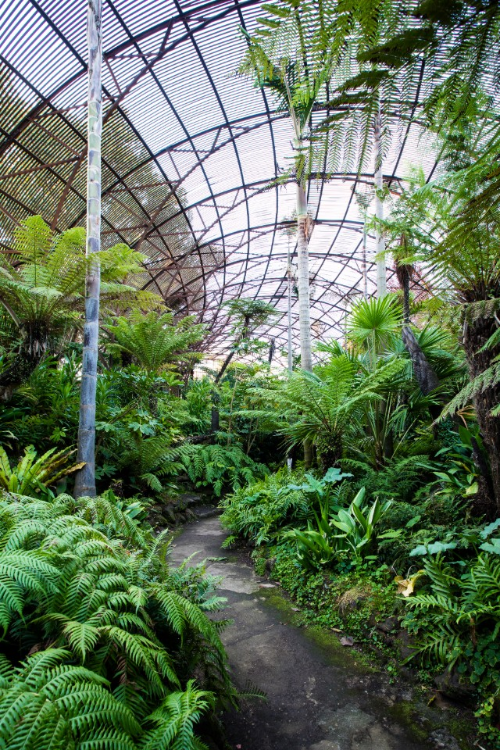 His initial designs were extended including a new, enlarged fernery and made less formal over the years. 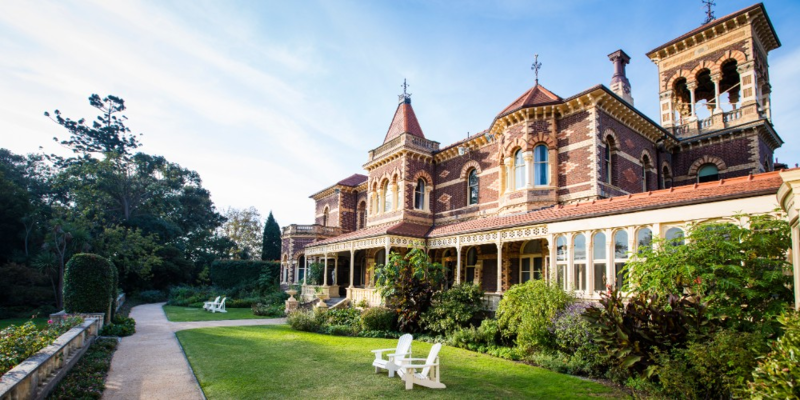 Immerse yourself in the Victorian era whilst picnicking on the beautiful sweeping lawns of the Estate. Enjoy demonstrations of Victorian leisure and sporting activities, Victoria Sponge cake sales, tours of the garden, focussing on the Victorian fernery, homemade Mrs Beeton's lemonade tastings, boating on the lake, children's games and much more.